*Winternights. Published in The Dark Half of the Year, November 2016. The North Bristol Writers return with a second anthology, this time set in winter with a collection of spooky holiday tales. The group includes many published and previously unpublished writers and the work is introduced by Cavan Scott. My story, Winternights, goes all Nordic and apocalyptic, asking: what would happen to ghosts if there were no humans left to believe in them? 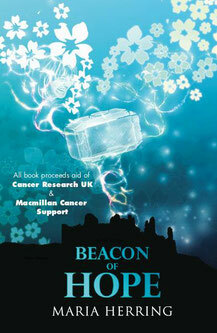 Beacon of Hope is an inspiring and heart-warming fairy tale about good versus evil. A story of hope. Cancer Research UK and Macmillan Cancer Support. *Anne Arquey 20871223F. Published in Nebula Rift Vol. 01 No. 01, April 2014. 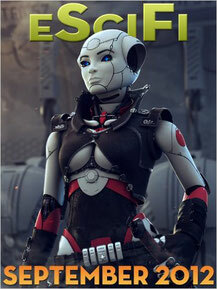 The first issue of eSciFi contains the following short stories: Greener Grass by Michael J. Sullivan; Who Bares The Lathe by Errick A. Nunnally; The Space Sphinx by Edward Rodosek; The Second Law by Jordan Legg; Anne Arquey 20871223f by Maria Herring; Pixelated Nostalgia by R.A Harris; The Train Conductor by James Zsigmond. *Hall of the Slain. Published in Irony of Survival, July 2013. 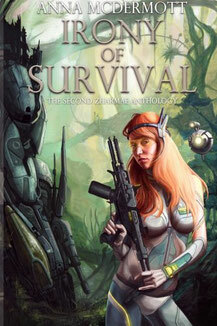 Irony of Survival is the second in the Zharmae Anthology series, which takes a deeper look at survival and how irony’s effect on it can grow into something we may, or may not, have anticipated. While we wonder to ourselves, how it managed to happen, it does. Torny Finehair, an army doctor, gets killed on a tour of duty. Only to wake up and get killed again. And again. And again. That's pretty much what life is like in the Hall of the Slain. *The Bubble Juggler. Published online on cutalongstory.com, September 2013. *Afterglow. 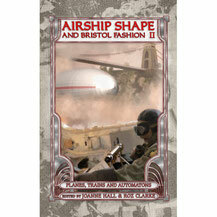 Published as an e-book, October 2012. Death comes to us all, doesn't it ? But it can come more quickly for some than others - especially if you don't watch where you're going! But, you'll be pleased to hear, death isn't the end. At least not if you don't want it to be. You can choose to go off and be one with the universe, but you can also choose to stay on as a guardian angel and help someone less fortunate than yourself. *8.02pm. Published in Chapter one promotion's, June 2012. *Unsleeping Beauty. 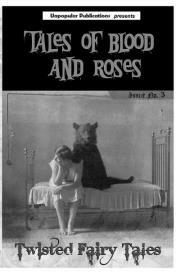 Published in Tales of Blood and Roses #3, 2012. 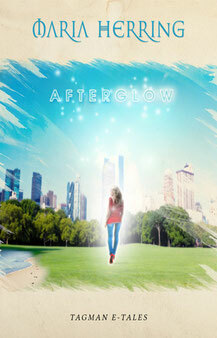 *Afterglow. Published in Voices of Angels, December 2011. Do you believe in angels? 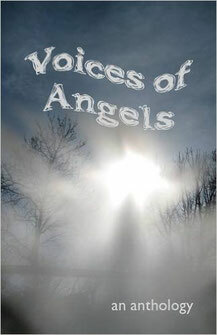 This collection of fictional short stories explores encounters with angels – in whatever form they take. Some stories are sad, some are funny; all will touch you. The collection includes a new story by Laura Wilkinson, author of BloodMining (winner of the Bridge House Debut Novel Competition 2010). *Memento. Published in Geek Force Five, July 2011. A collection of five short stories, including the winner of 2011 io9.com Environmental Writing Contest! 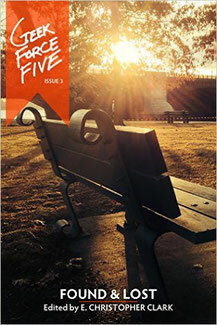 In “Beneath It All” by Holly Day, a worm rustles through dry leaves as a man contemplates the end of his world; in “Carbon” by Jef Cozza, a scientist discovers a way to turn back the apocalypse; in “The Game of Memory” by Thomas Kearnes, cousins play a game of Memory where the cards turn out to be more than twin suns and puppy dogs; in “Blackfriars” by Naomi Elster, the city of London is consumed by madness; and, in “Memento” by Maria Herring, a woman wakes to find her living room destroyed and her boyfriend gone, with no memory of how it happened. *Killing of Innocents. Published in Dark Tales, June 2011.